Mexican officials have ordered the removal of a three ton sign that reads, “No More Weapons!” at the foot of an international bridge across from El Paso, Texas. 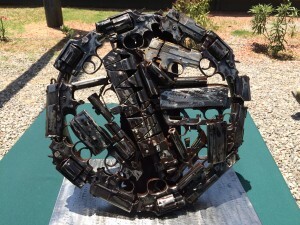 The giant sign is made of confiscated firearms and was erected in 2012 by then President Felipe Calderon as a means of sending a message to the United States. The U.S. is the main supplier of illegal guns into Mexico and those weapons often end up in the hands of organized crime. The sign was placed at the border crossing into Ciudad Juárez, a city now recovering from years of intense drug violence. 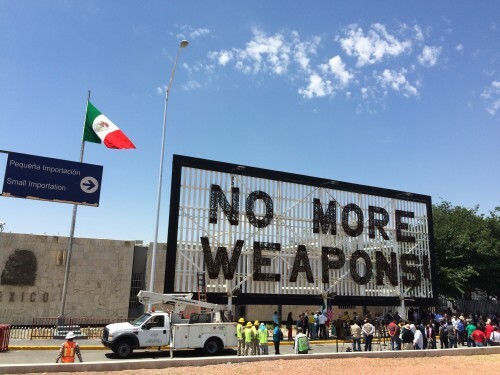 Juárez Mayor Enrique Serrano criticized the “No More Weapons!” sign at a press event Wednesday saying it was a billboard for bad diplomacy and could scare off visitors from the city. “We want to open our arms to tourism and economic prosperity,” he told a crowd of reporters. Juárez has been making a multimillion dollar effort to scrub its violent image and resurrect the days when Americans would treat the city like their playground. At a taxi stand just beyond the international bridge, driver Joe Juárez said the violence hurt his business. Not only have fewer tourists been coming across, but he was forced to pay a monthly extortion fee to criminal gangs. The “No More Weapons!” sign will be removed in the coming days. 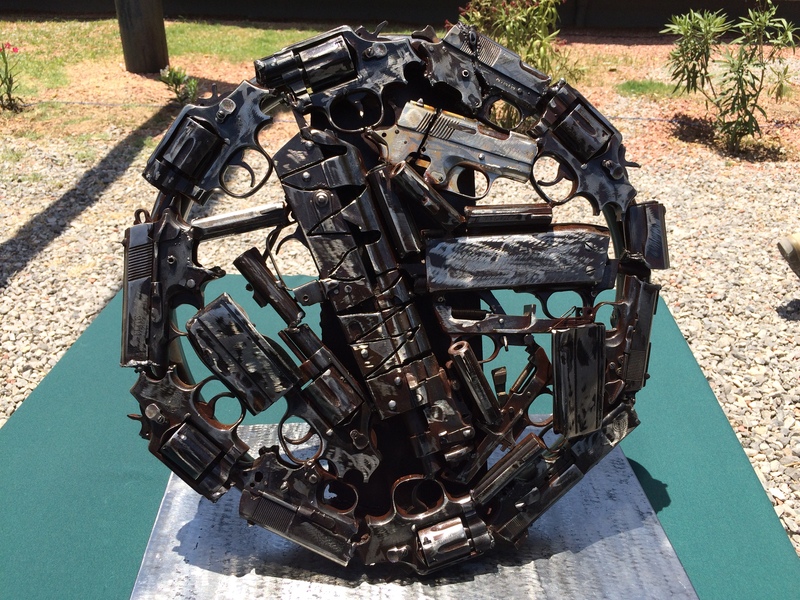 A round chunk of the sign made from scraps of rusted guns will be gifted to the U.S. Embassy in Juárez. This story was reported by Mónica Ortiz Uribe in collaboration with Fronteras, The Changing America Desk, a consortium of NPR member stations in the Southwest. This entry was posted in KRTS News and tagged Border Issues, El Paso, Fronteras Desk, Juarez, US-Mexico Border. Bookmark the permalink.